Turbo? 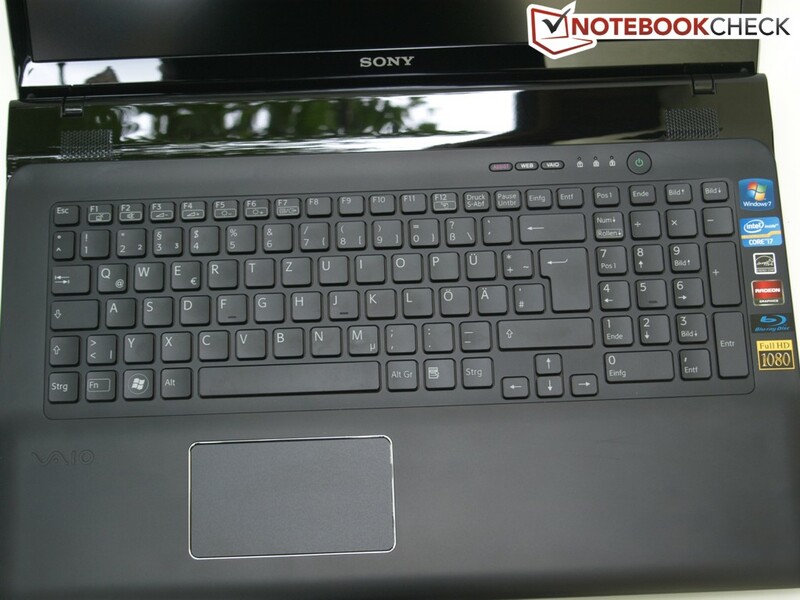 With the SVE1711X1EB, Sony brings out on the market a multimedia laptop, which should appeal to both business and ambitious home users with its Intel Core i7 quad-core CPU, middle class graphics card, and matte display. In our detailed review you will read whether the notebook succeeds or not. 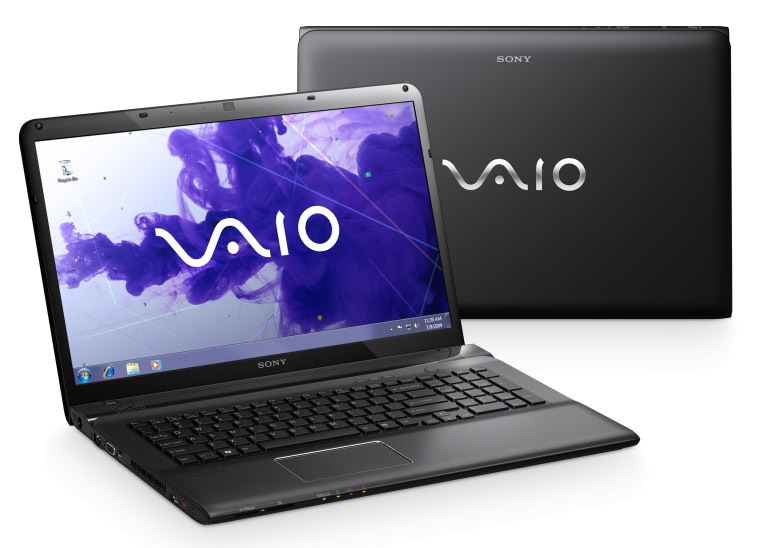 In the Vaio E series, Sony creates laptops for everyday use, which should be suitable for both professional and leisure applications. In the USA the range is available in 11.6-, 14- and 15.5-inch models. 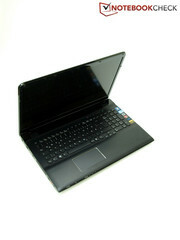 There is also a 17.3-inch E series model which is not currently available in the USA. Those looking for a laptop with relatively good price-performance ratio from Sony could find a match in the E series. 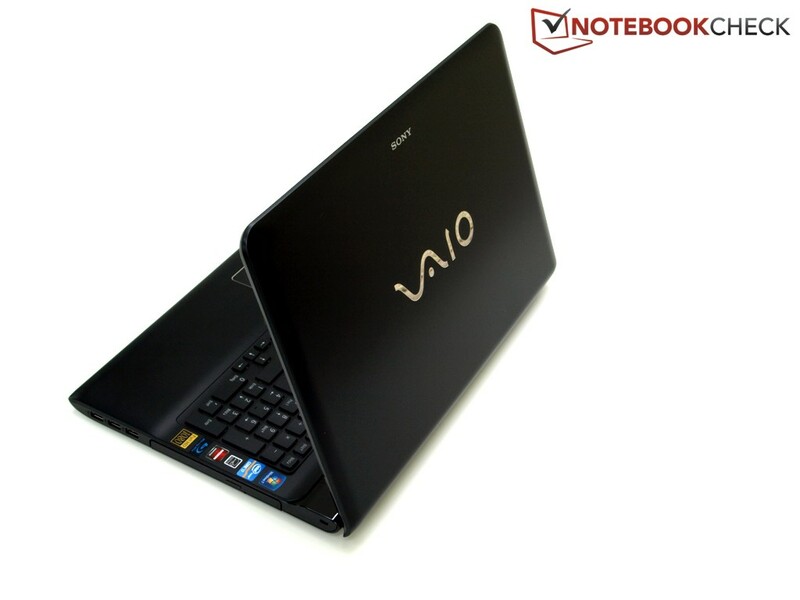 The difference between the E series and other Vaio families is not only in the low entry price. The design, for example, is duller than that of the C series and is not as slim as that of the S series. In addition to the pre-configured models in Sony's online shop, the customers can also put together a model that fits their personal needs. Our test unit is a 17.3-inch model with Intel Core i7-3612QM quad-core processor, AMD Radeon HD 7650M graphics card, 8 GB system memory and 5400 rpm hard drive with 750 GB capacity. This version costs approximately 1000 Euros (~$1279). In terms of performance, it's a multimedia notebook. 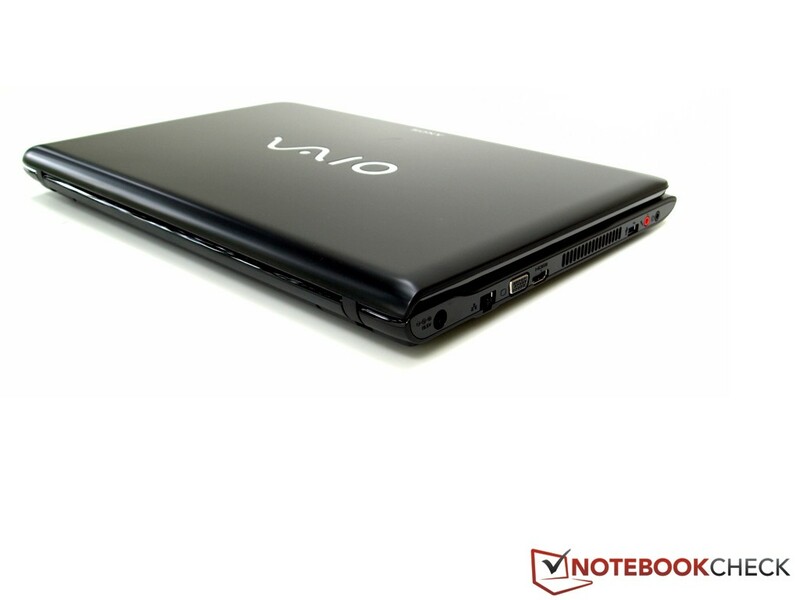 Our Vaio notebook comes almost entirely in black. The case is made of plastic and has, apart from the glossy display frame and loudspeakers grill above the keyboard, a smooth, matte surface with a relatively pleasant feel. Fingerprints are still visible on this surface. The stability and workmanship are mostly without a fault. The base unit has excellent torsional rigidity. 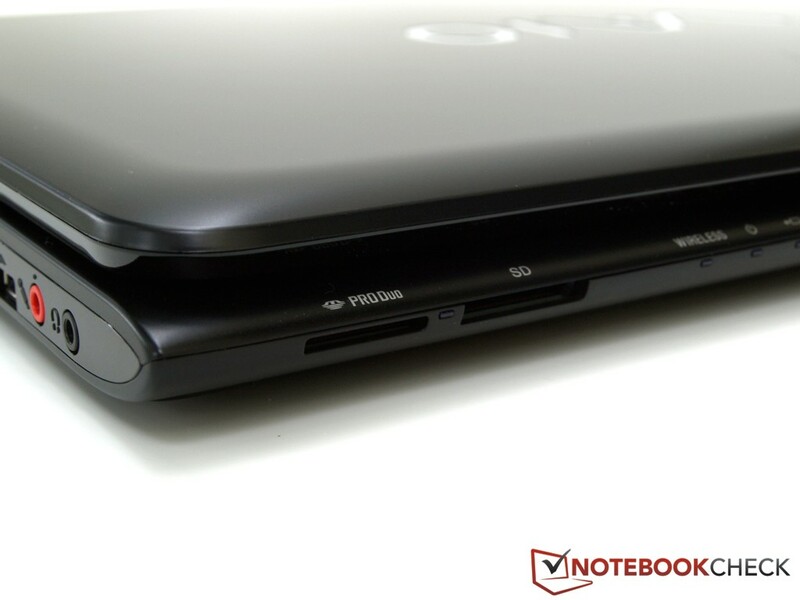 Only the area above the optical drive gives in under moderate pressure, which is common for many competitors as well. We are also satisfied with the torsional stability of the display lid. 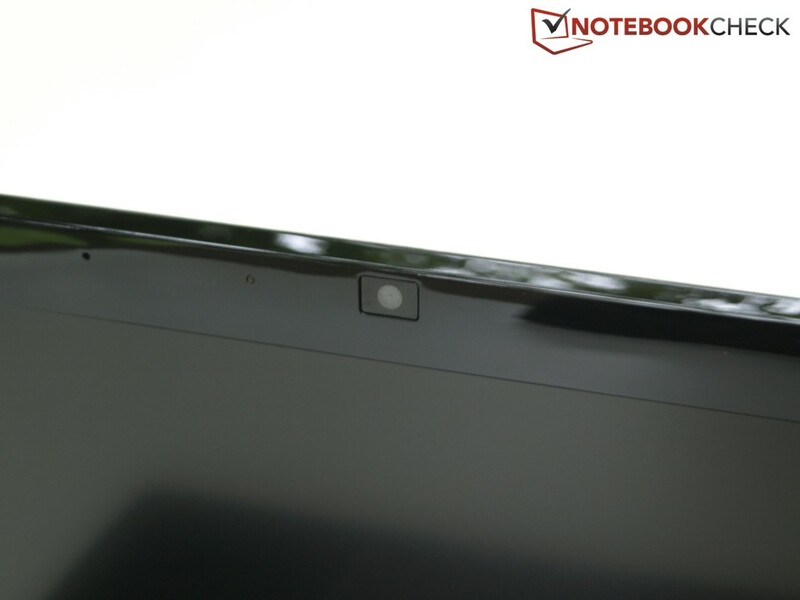 In view of the weight of 3.2 kg (7.05 pounds), you would rarely lift the notebook by the corner of the screen, even if twisting is minimal. Overall the display lid could be a bit more solid. Image distortions when the display is turned on, or even creaking, were not observed. The two tight hinges seem somewhat undersized in view of the size of the housing. The display lid visibly teeters after changing the opening angle. Otherwise, despite the heavy base, both hands are needed in opening the notebook. Along the front edge we find two card readers: a Memory Stick Duo slot, which also supports Memory Stick PRO without copy protection, and one slot for SD memory cards. The rest of the interfaces are split among the left and right sides. Overall there are 4 USB ports, although only one supports USB 3.0. As usual for such large devices HDMI and VGA are also on board. It is obvious from the interface configuration that the SVE17 is aimed more at the end consumer or home office user, rather than the professionals, as that would require at least a docking port, and also a DisplayPort. The interface layout is not optimal, due to the placement at the front. On the other hand, all of the USB ports are easily accessible. At least the two video outputs are located at the back of the left side. Left-handed users will have their hand warmed by the exhaust air from the fan when using an external mouse. The communication equipment supports the latest standards. Fast Gigabit Ethernet connections are possible with the Realtek PCIe GBE family controller (10/100/1000MBit). 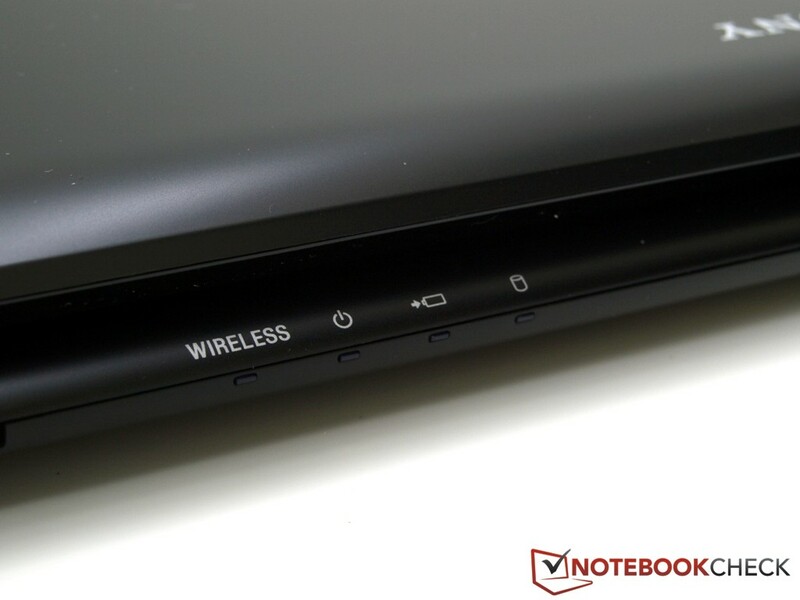 The Atheros AR9485WB-EG Wireless Network Adapter (b/g/n) allows for connection to Wi-Fi hotspots with the "n" standard and the Bluetooth Version 4.0 + HS allows the connection to mobile devices such as phones and PDAs. It is also clear here that the SVE17 is not aimed at professional users. In terms of security options, there is only the Kensington Lock. Beside the necessary accessories such as the power supply and battery, in the box we find only a couple of leaflets, such as the quick guide. 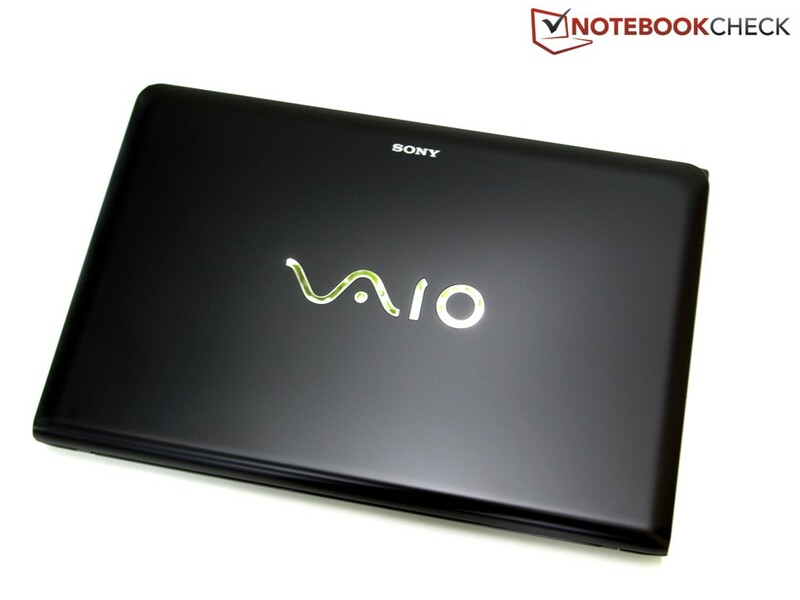 The user is responsible for creating a recovery DVD, which is supported by the Vaio Care tool. Sony offers optional accessories, such as bags, keyboards, and additional batteries. 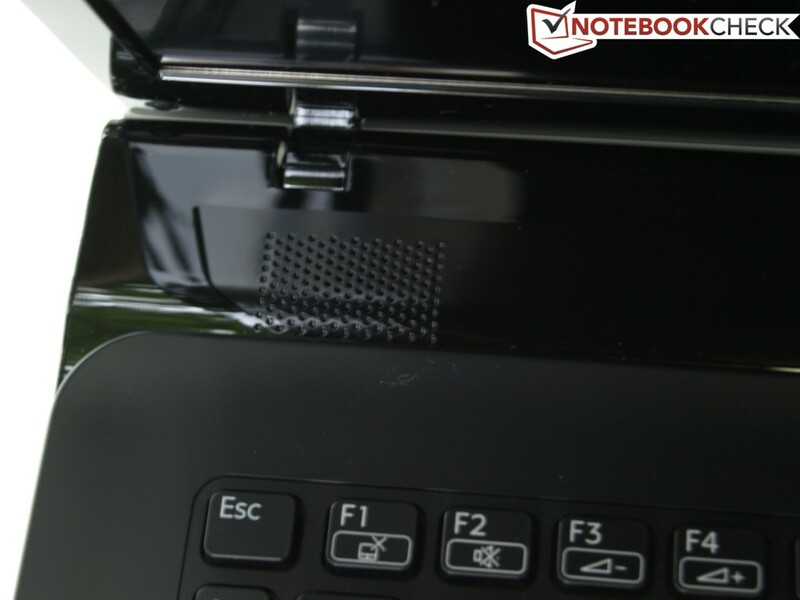 On the bottom, via two service covers, only the system memory and the hard drive are accessible. Cleaning the cooling system is not made easy for the user and would require further opening of the base unit, which might void the warranty. The manufacturer warranty is 24 months. One- and two-year extensions are available for a surcharge. Our SVE1711X1EB test notebook comes with a chiclet keyboard with back lighting. Unfortunately there is no "Fn" key to turn this lighting on and off. 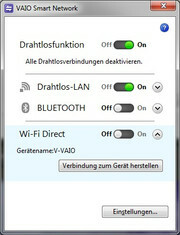 Via the Vaio Control Center the user can specify whether it should be always on, off, or be switched on by the press of any key. The keyboard layout bears no surprises. 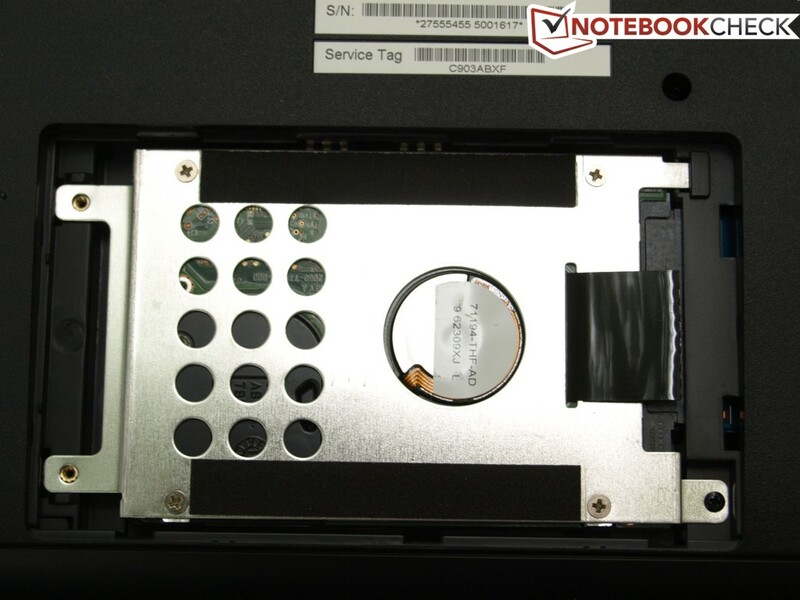 A separate number pad has also found a place in the 17-inch notebook. In addition, the area above the keyboard houses three buttons: Assist for the Vaio Care tool, Web for starting the default web browser and Vaio. 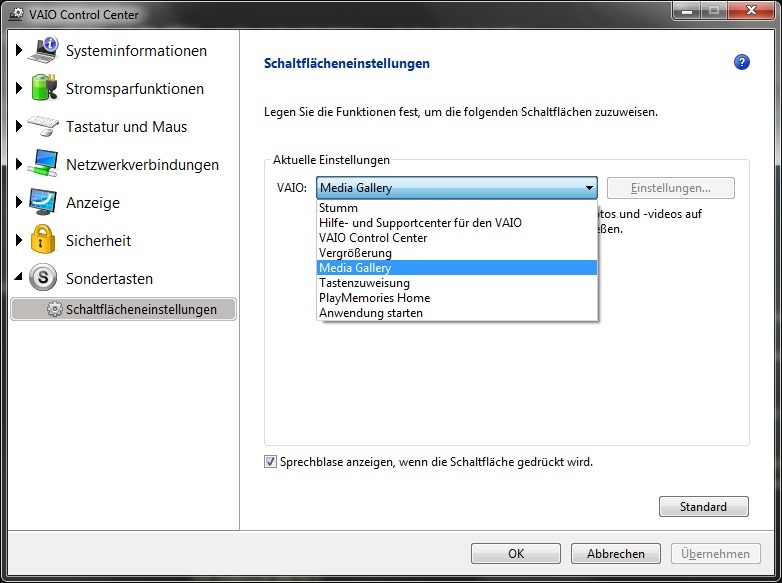 The function of the latter can be adjusted in the Vaio Control Center. When typing, the keyboard clearly wobbles in the central area. Still, typing feels good thanks to the clear pressure point and the well dosed stroke. In addition, the keyboard is pleasantly quiet. 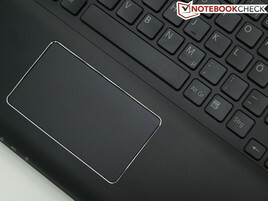 The Synaptics Clickpad V8.1 (no separate buttons) has a sensitive surface of 99 x 56 mm (3.89 x 2.2 inches). Thanks to the chrome colored frame, the touch pad is clearly distinguishable from the surrounding case. The matte, slightly brushed surface feels comfortable and has good gliding properties. 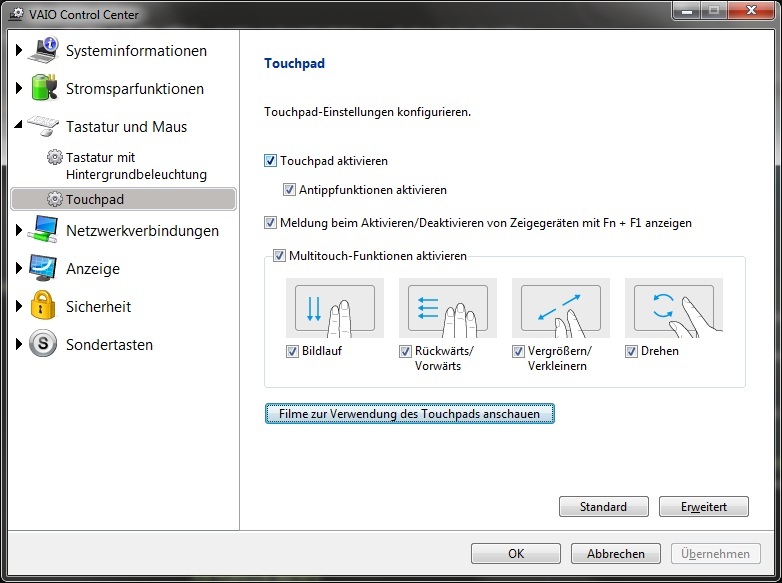 The touch pad also supports some multi-touch gestures. 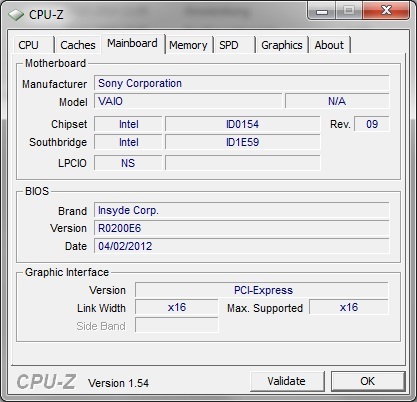 The options can be adjust in both the usual Windows 7 mouse settings and the Vaio Control Center. 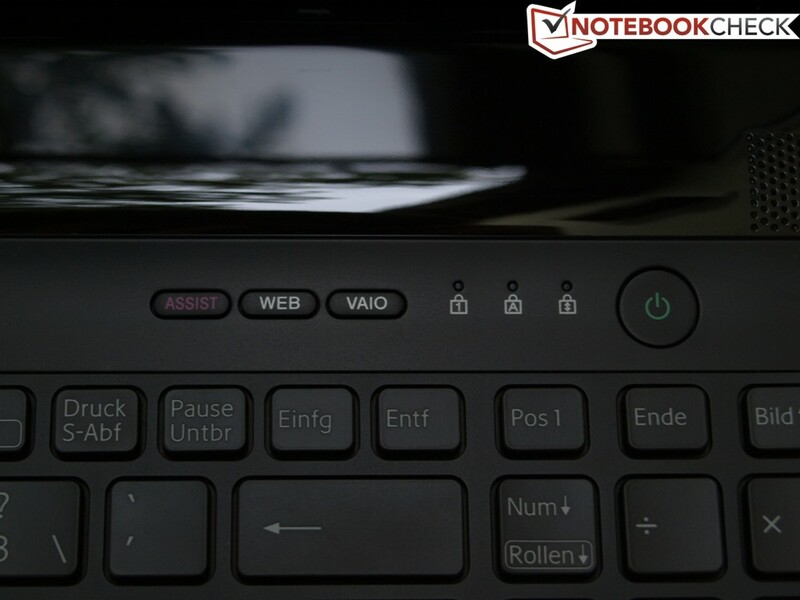 The Clickpad registers a left/right click in the bottom two-thirds of its surface. In practice, this works pretty well. However, for a right click, you should generally aim for the bottom right-most edge. 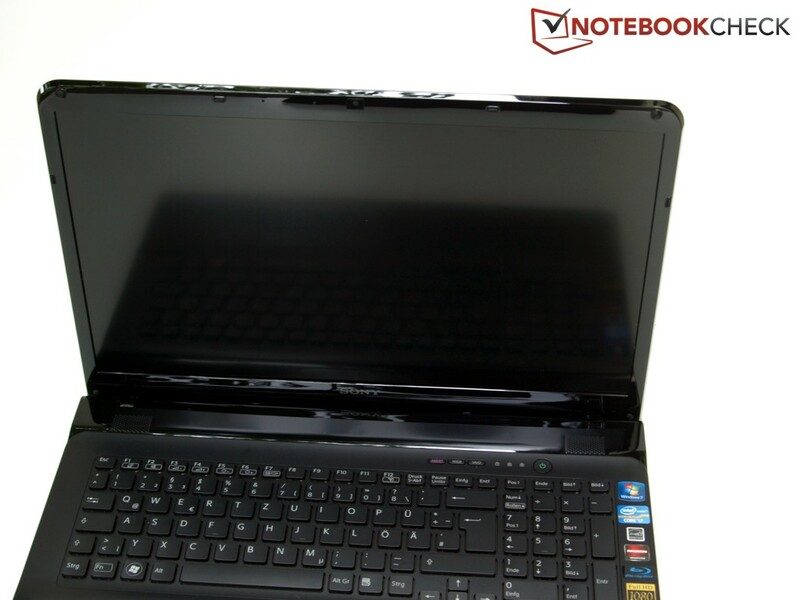 Our test notebook has a 17.3-inch screen, model Chi Mei N173HGE-L11. It has a native Full HD resolution of 1920x1080 pixels and a 16:9 format. Due to the low-reflection surface, the display is suitable for both prolonged indoor operation and outdoor use. Other SVE17 models have coarser screens with WXGA++ resolution (1600x900). These offer less, since most modern computer games are already playable with the AMD Radeon HD 7650M at low/medium setting in Full HD. 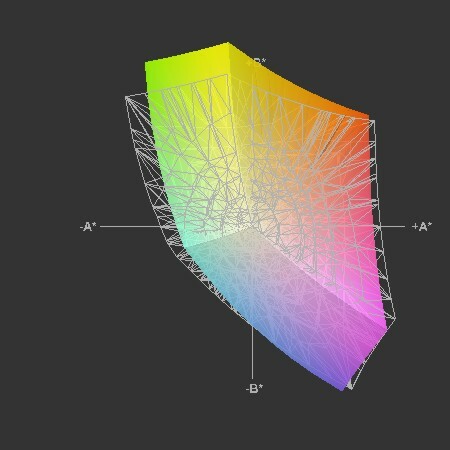 According to our measurements, the average brightness is 257 cd/m² and the illumination of 81% is fairly balanced. The low black level of 0.3 cd/m² results in an excellent contrast ratio of 887:1. Thus the blacks are saturated and the colors look vivid. A high color reproduction is particularly important for professionals and a normal user gains no significant advantage from it. Our test candidate covered the sRGB to a great extent and, in view of its product class, is ahead of many 17-inch multimedia notebooks. Thanks to the matte surface and a brightness of over 250 cd/m², the display of the SVE1711 is suitable for outdoor use. Even in direct sunlight the screen remains legible. So whoever want to use the notebook on the terrace can do so, at least when it comes to the display. 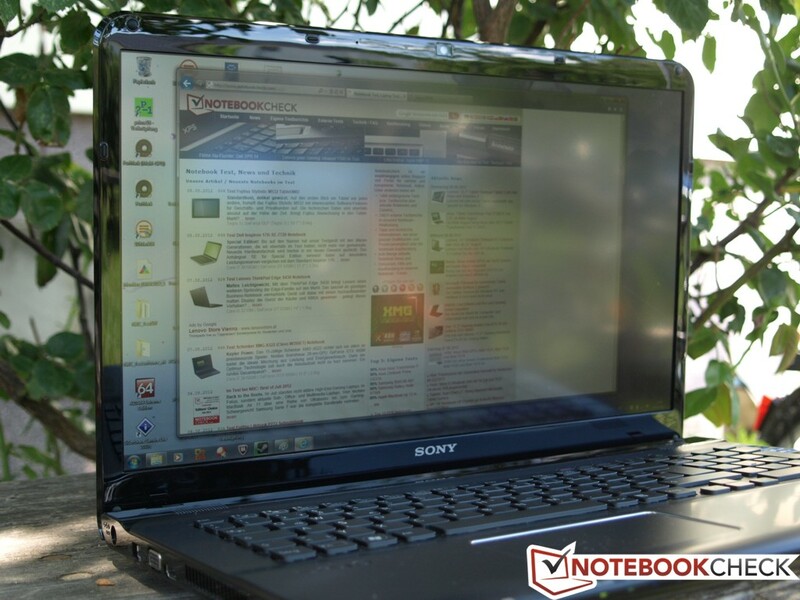 The viewing angle stability is relatively good for a notebook display. Horizontally, the possible viewing angle is wide. When looking from above, there are also no strong distortions. But if you view the screen from below, you can notice a darkening and color inversion. The Sony SVE1711 is thus well suited for video playback in front of several people, as well as the presentation of last holiday's photos to the family. In terms of performance components, meaning processor, graphics card, system memory, and hard drive, Sony offers different SVE17 models. Our test unit comes with a 3612QM Ivy Bridge quad-core CPU, a discrete AMD Radeon 7650M graphics card, 8 GB system memory and a conventional 5400 rpm hard drive with 750 GB capacity. In addition to the various Core-i processors, there are also models that have no dedicated graphics card, but rely only on the integrated Graphics 3000 graphics chip. 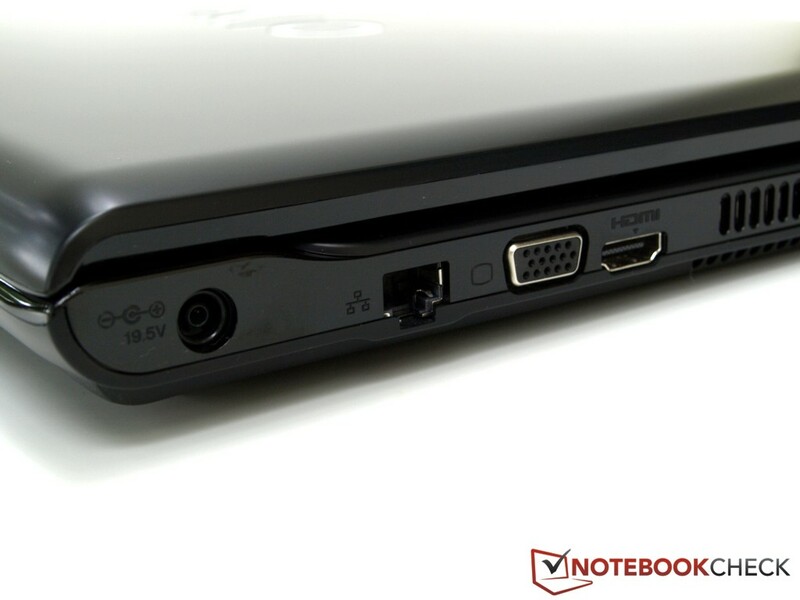 Our unit, which comes with a discrete card, will do better as a multimedia notebook than the models with Graphics 3000. The latter are better suited in terms of performance for office use, rather than demanding 3D tasks. Those who want to play computer games, should choose the model with the stronger Radeon 7650M. The Intel Core i7-3612QM is a fast mobile quad-core processor with a TDP of 35 W, which is manufactured at 22 nm process with 3D transistors. Thanks to the Hyper-threading, the four cores can process up to 8 threads simultaneously. 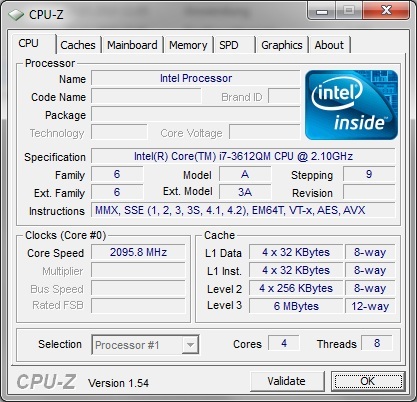 Depending on the work load Turbo Boost can overclock the processor, for example up to 3.1 GHz for one core. In our model the processor is accompanied by 8 GB RAM. You can find more information about the processor in our special article, and here you can find a performance comparison: benchmark list of mobile processors. In order to determine the performance of the CPU in our test unit, we ran a number of CPU oriented benchmarks. 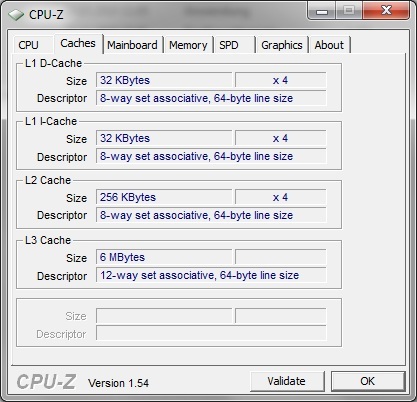 SuperPi uses one processor core to calculate a predefined number of digits of the number Pi. In order to calculate 32 million digits after the decimal, the CPU took 15 minutes and 21 seconds. Here our notebook took significantly longer than other ones with the same CPU, which needed only about 11 minutes. A look at the frequency shows that the Turbo obviously did not come into play. Despite the workload, the clock frequency remained at 2.095 GHz and does not even come close to the Turbo Boost maximum of 3.1 GHz. This problem could be observed in other CPU oriented benchmarks as well. In multi-core programs such as wPrime and CineBench Multi Rendering, the frequency still remains at 2.095 GHz and the Turbo Boost seems deactivated. Therefore it is hardly surprising that all the CPU oriented benchmarks scored below average. Fortunately the CPU performance remains at "full capacity" even on battery power. We evaluated the system performance based on the PCMark benchmark. In PCMark Vantage reached an overall score of 6978 points and surpasses the 17-inch Medion Akoya P7815-MD98063, which has the same CPU and a conventional 5400 rpm hard drive, but a GeForce GT 640M (6737 points). 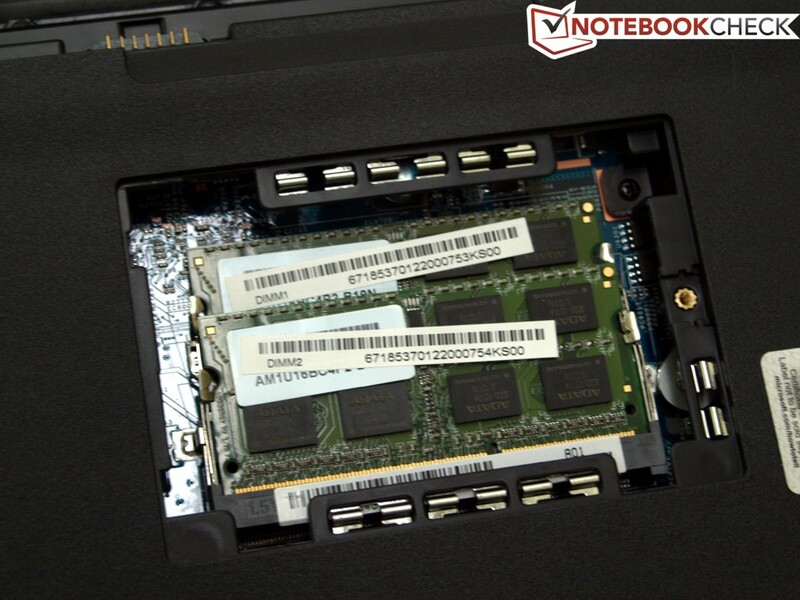 Overall, the notebook is positioned below devices with the same CPU. We see a similar picture with the PCMark 7. 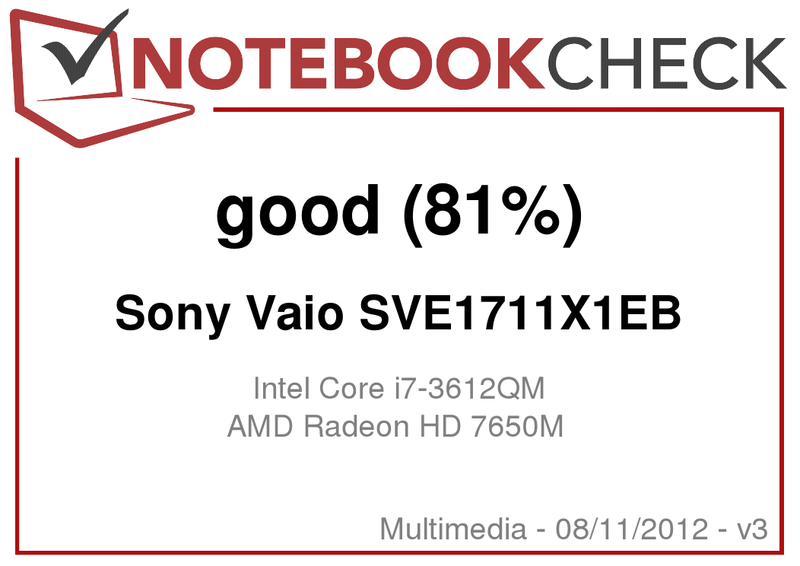 Here the SVE1711X1EB performs worst among all the notebooks with the same CPU. Only the Medion Akoya P7815 (GeForce GT 640M, 5400 rpm HDD) and the Dell Inspiron 15R SE (15.6-inch, Radeon HD 7730M, 5400 rpm HDD), each with 2318 points, perform similarly weakly. The reason for the low performance is not only the 5400 rpm hard drive, but also the lack of the Turbo Boost function (see the Processor section). Nonetheless, a faster storage solution, such as a hybrid hard drive, with enough capacity for multimedia content was desirable. 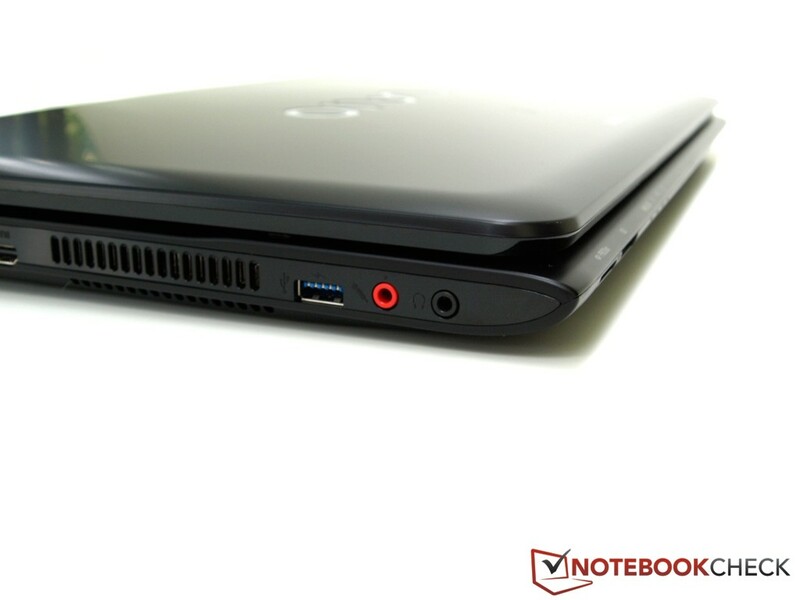 Notebooks such as the Dell XPS 15 (15.6-inch, GeForce GT 640M, HDD, SSD cache) score over 4000 points in PCMark 7. Our test unit comes with a conventional 5400 rpm hard drive. 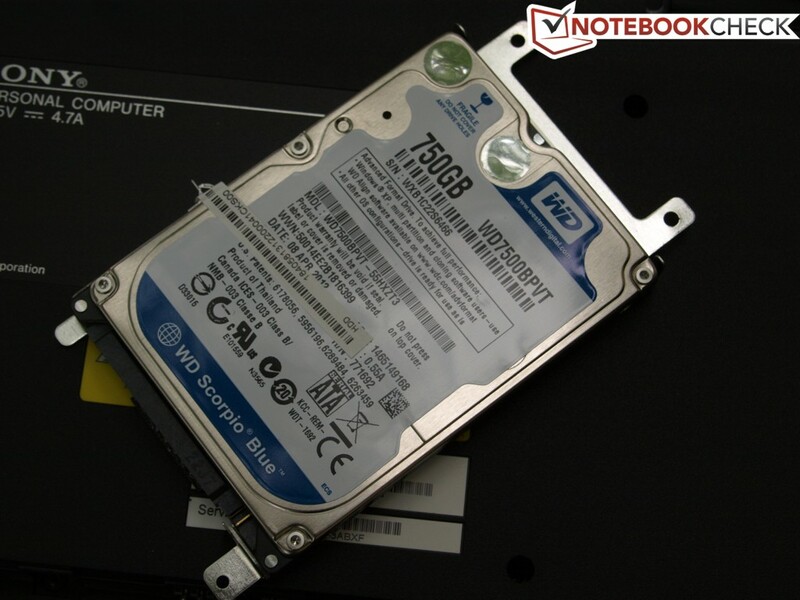 The Scorpio Blue WD7500BPVT-55HXZT3 by Western Digital has a capacity of 750GB. 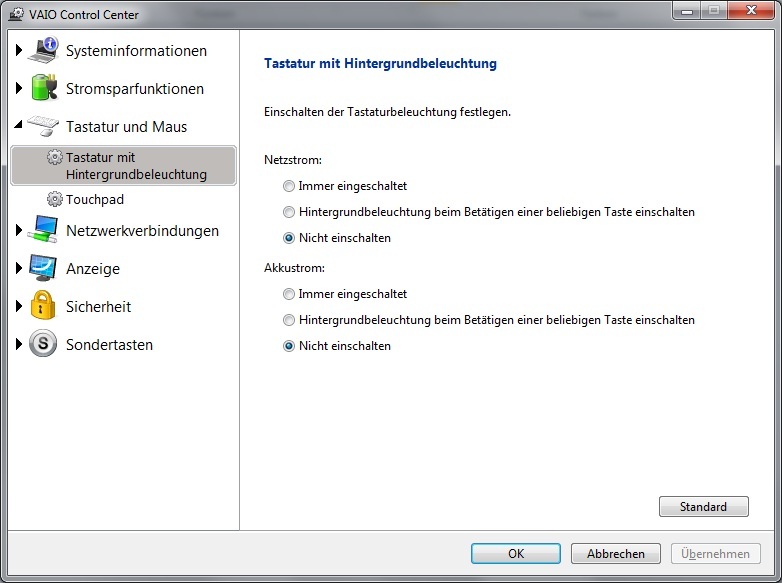 From this, 20.93 GB is reserved for a recovery partition and 350 MB - for the system. 677.36 GB is available to the customer for the operating system and data. 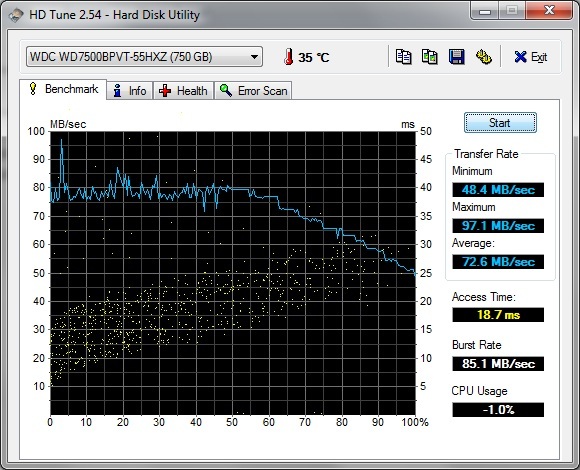 The results from HDTune and Crystaldiskmark match our expectations of a typical 5400 rpm drive. Our SVE1711X1EB also has a Blu-Ray drive by Pioneer, namely a BD-RW BDR-TD04, which reads Blu-Rays and can also burn DVDs. Sony lists the supported formats among the technical specifications. The SVE1711X1EB has a dedicated AMD Radeon HD 7650M with 2GB GDDR3 video memory, a DirectX11 capable middle-class graphics card. With 7347 points in 3DMark06, 4653 points in 3DMark Vantage and 1056 points in 3DMark11 our test unit is on par with notebooks that have the same graphics card. 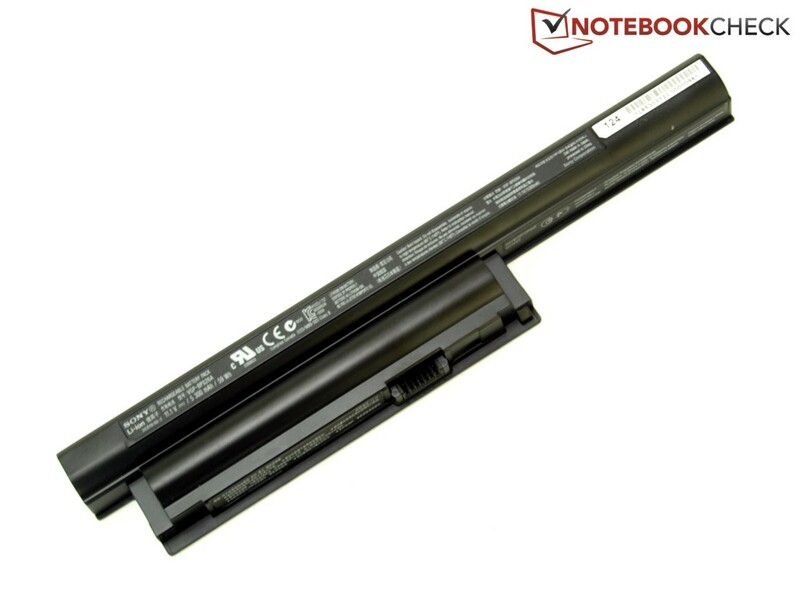 HP's ProBook 4540s (2370M) manages 7913, 1066, and 4492 points respectively and the ProBook 4740s - 7385, 1070, and 4589 points (3D06, 3DVant., 3D11). Unlike the CPU performance, we can say that the GPU performance meets our expectations. To facilitate a longer battery life, the graphics performance is somewhat reduced when on battery power. In Cinebench R10 64-Bit OpenGL test the SVE1711X1EB reached 5930 points (on battery) in comparison to the 6604 points (power supply) with the standard setting and high performance profile. Those who need the full GPU performance on battery need only to change the ATI PowerPlay setting from "Optimal Battery Life" to "Optimal Performance". 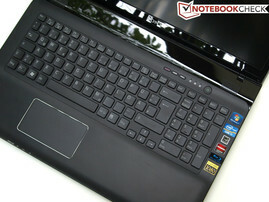 With a multimedia laptop, which is also suitable for gaming, not only the synthetic benchmarks are interesting. Therefore, we have selected five more or less modern and demanding 3D games, in order to verify the practical graphics performance. We begin with Mass Effect 3. The Sci-Fi shooter runs smoothly only at low settings with 44 fps. Risen 2 takes us into a unique pirate world. In this demanding 3D game we also quickly reach the limits of the AMD 7650M. Again, the game is smoothly playable only at low settings, running at 37 fps. The Elder Scrolls V: Skyrim does not bring any surprises in terms of performance. The game runs fluently with 45 fps only at the lowest settings. Battlefield 3 focuses on complex multi-player battle and detailed maps, thus it presents the toughest challenge for our test unit so far. Even at low settings, the graphics card is already reaching its limits. In comparison to the other game in our test, Call of Duty: Modern Warfare 3 has satisfyingly low hardware requirements. Even our middle-class graphics card manages 40 fps at high settings. The Radeon 7650M graphics card by AMD in the SVE1711X1EB is a middle class chip that works at 500 MHz (core) and 900 MHz (memory). Thus a lot of games are playable at up to medium settings. But at the native Full HD resolution, you will have to lower your expectations of the graphics quality in order to get some games to run fluently. Our SVE1711X1EB test unit works quietly under low load. Even the hard drive noise of 31.1 dB(A) is only noticeable upon closer inspection. In contrast, the Blu-Ray drive is clearly audible with 39.6 dB(A) when playing movies. Under load, the maximum noise level reaches 44.1 dB(A). No peculiar noises were observed with the fan. With powerful hardware and relatively quiet operation, a higher heat development can be expected. While under low load the temperatures remain low, our test unit heated up significantly under full load. With the help of our stress test, in which we used Prime95 and Furmark to simultaneously fully utilize both the processor and the graphics card, we measured the maximum surface temperature. Here mostly the left side of the SVE1711X1EB exceeded the 50 °C (~122 °F) mark, in part on the bottom as well as on the top side. In addition, the left keyboard area is noticeably warmer and the left palm rest exceeds body temperature. Here we should note that our stress test is an extreme scenario, which should not occur in everyday use. Still, you should refrain from playing demanding 3D games on your lap. We use the stress test, 100% CPU and GPU load with Prime95 and Furmark, to also check for throttling. 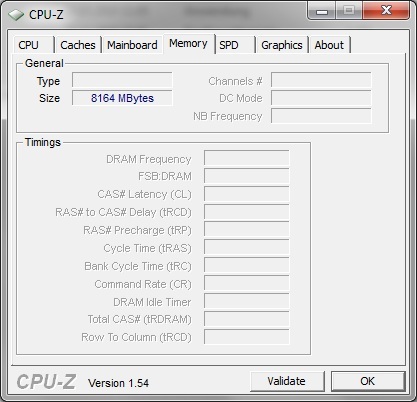 The good news is that the CPU's frequency does not drop below the base clock 2.1 GHz. The core temperatures reached 90 °C (~194 °F). 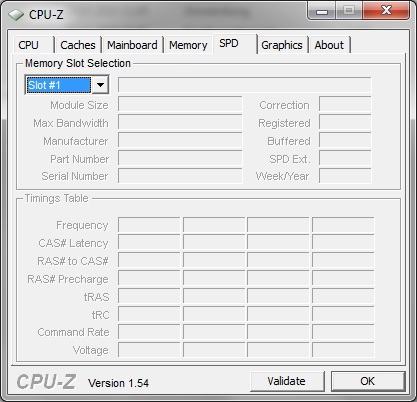 Notice here that the CPU Turbo is obviously not working, as was mentioned in the Performance section. We can exclude the undersized power supply or the insufficient cooling system as causes, since we could not observe any overclocking even in a cold start. Also, there is no BIOS setting to turn the Turbo on or off. Thus it is likely that Sony has intentionally disabled the Turbo function. The graphics card runs constantly at 500 MHz (core) and 900 MHz (memory). In our stress test it reached temperatures of over 70 °C (~158 °F). 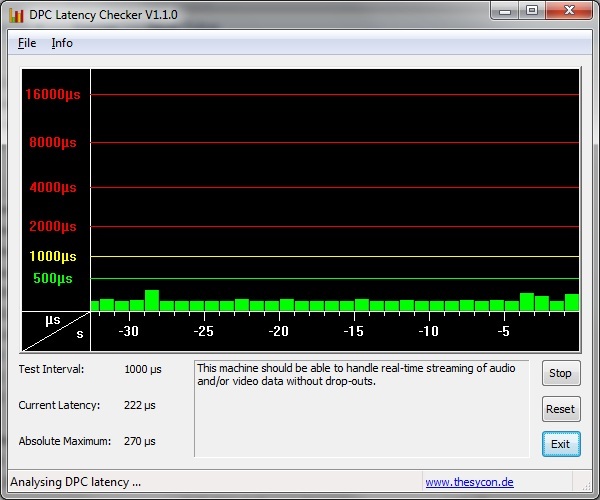 Our SVE1711X1EB thus does not need to fight throttling problems. (-) The average temperature for the upper side under maximal load is 40.9 °C / 106 F, compared to the average of 30.9 °C / 88 F for the devices in the class Multimedia. (-) The maximum temperature on the upper side is 53 °C / 127 F, compared to the average of 36.5 °C / 98 F, ranging from 21.1 to 71 °C for the class Multimedia. (±) In idle usage, the average temperature for the upper side is 33.7 °C / 93 F, compared to the device average of 30.9 °C / 88 F.
(-) The average temperature of the palmrest area of similar devices was 29.1 °C / 84.4 F (-11.8 °C / -21.2 F). The two stereo speakers are located left and right above the keyboard. The sound quality is typical for a notebook, more medium-heavy and without a subwoofer lacks the bass. Fortunately, even at full volume, the sound remains undistorted. For a multimedia use, a better speaker system would be desirable. Headphones are recommended for enjoying music. We could not find any fault with the 3.5 mm jack in our test. In idle state the SVE1711 consumes between 11.3 and 25.2 W. Under medium load, simulated by 3DMark06 benchmark, the energy consumption increases to 45.3 W. Under the stress test we measured a maximum value of 71.2 W. Thus the power supply is sufficient with an output of 19.5 V, 4.7 A, and 90 W.
The low values in idle state and standby are good. Unfortunately Sony has implemented no graphics switching, thus the dedicated graphics card remains active even under low load. Our Sony test unit enters this category with a lithium-ion battery with 59 Wh (5300 mAh; 11.1 V). Currently Sony does not offer any alternative batteries. With the help of the BatteryEater Reader's test we measure the maximum battery runtime. With minimal screen brightness, energy saving profile, and wireless modules switched off, the test ended in 5.5 hours. The minimum battery runtime is reached by the Classic Test of the BatteryEater Tools with maximum brightness, high performance profile and active wireless modules. Here our test unit lasted about 1.25 hours. In practice, the actual battery life is somewhere between these two extreme values. In the WLAN test, with the help of our standard script, 150 cd/m², and energy saving profile, we reached almost 2.5 hours of internet surfing. Finally, we wanted to know how long the battery would last when playing a Blu-Ray movie. With energy saving profile and maximum brightness, the battery was empty after almost 2 hours. 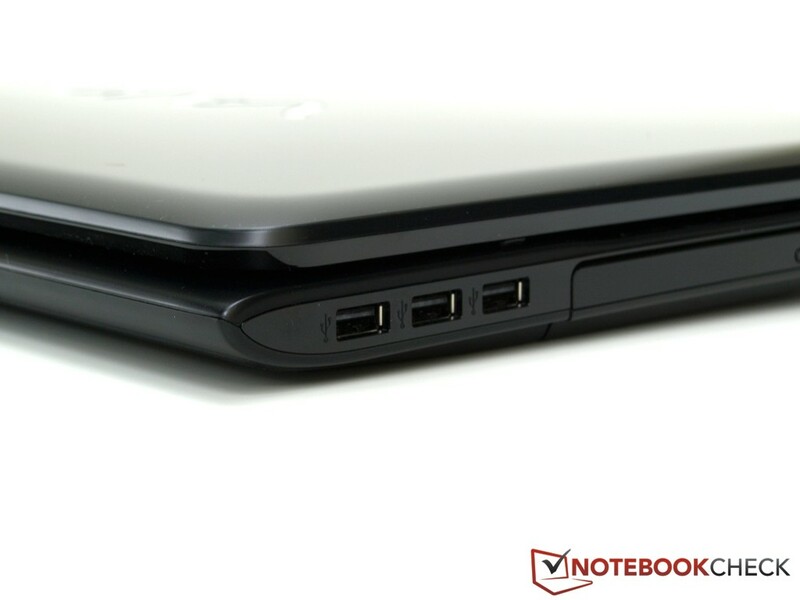 The battery life is comparable to similarly equipped notebooks. The smaller Dell Vostro 3560 (3612QM, Radeon HD 7670M) reached similar runtimes with a smaller battery. As was expected, the 17-inch HP ProBook 4740s (2450M, Radeon HD 7650M) surpassed our test candidate, thanks to the larger 73 Wh battery. 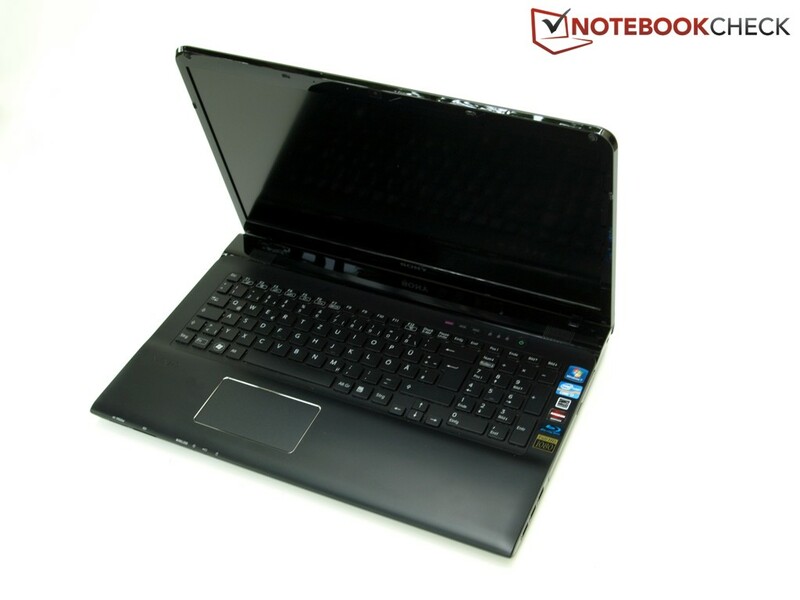 A multimedia notebook with bright, high-contrast, and low-reflection display, quad-core processor and middle class graphics card can also appeal to home office users. The graphics performance is enough for casual gaming and not too demanding 3D applications. Unfortunately, the CPU Turbo did not function in our test unit. The SVE1711X1EB further scores points with its case design and stability, as well as the input devices. The keyboard is well suited for typing longer texts. The communication capabilities also correspond to modern technical standards. Depending on allocation and hand orientation, the interface layout might be a problem. Still, more USB 3.0 ports could have easily made it on board. Furthermore, the mobility is limited not only by the size and weight, but also by the lack of a switchable graphics card, which could have significantly extended the battery life in low load scenarios. Considering the outdoor suitable display, this is particularly unfortunate. 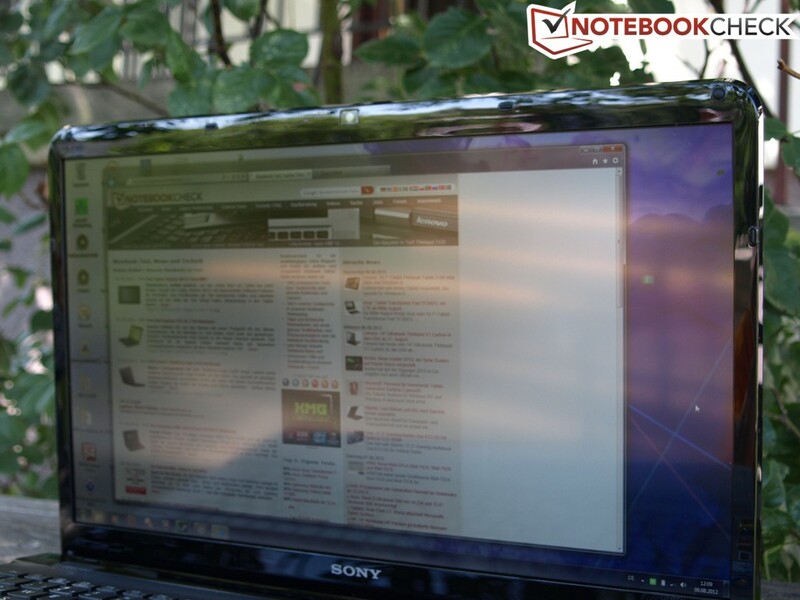 Overall Sony with the SVE1711X1EB has put together a balanced multimedia notebook with a fair price-performance ratio, which is also suitable for the home office user. 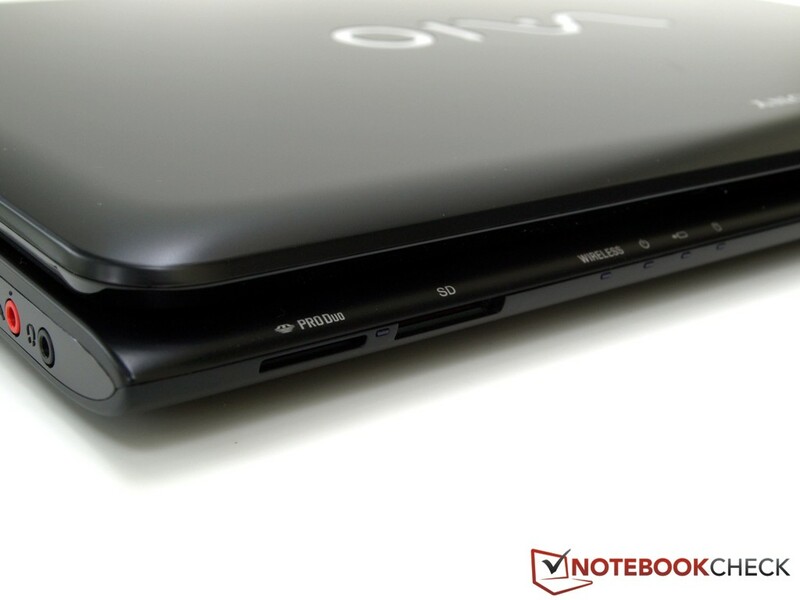 Those seeking a cheaper notebook should consider the Medion Akoya P7815-MD98063. 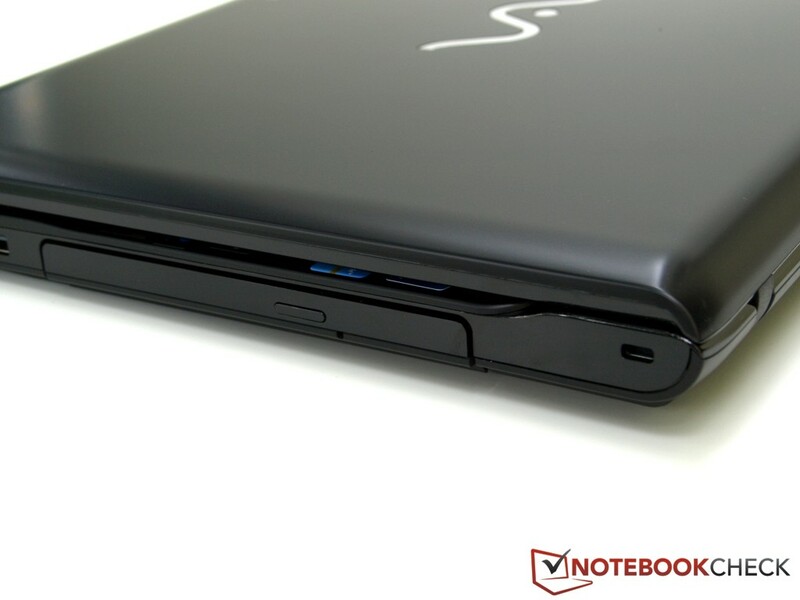 The Asus N76VM-V2G-T1078V is another 17-inch notebook with multimedia ambitions and anti-glare screen. The bright, high-contrast, and anti-glare display is suitable for both prolonged work and outdoor use. The Turbo Boost of the 35W quad-core CPU. How little the lack of Turbo Boost affects the everyday performance and subjective speed of the system. Only in the CPU oriented benchmarks do we notice that the 3612QM quad-core CPU in our test unit works slower than in other notebooks. 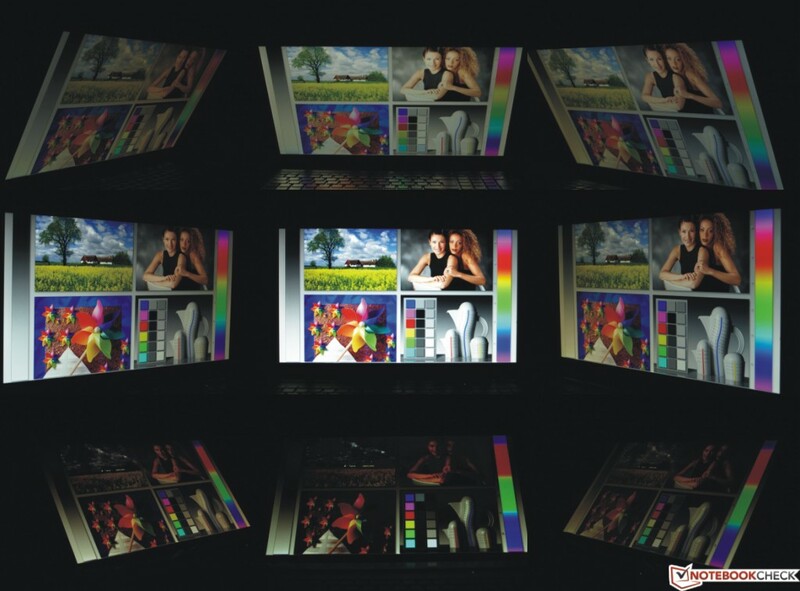 Fortunately, more and more manufacturers are relying on anti-glare screens in the multimedia sector. 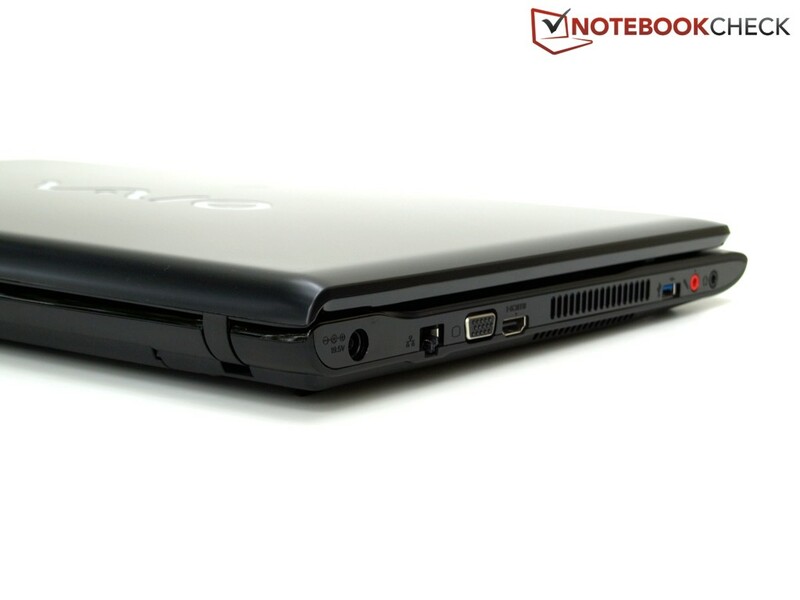 Other 17-inch notebook with similar hardware and matte screen are the Asus N76VM-V2G-T1078V (Intel Core i7 3610QM, NVIDIA GeForce GT 630M) and the Medion Akoya P7815-MD98063 (Intel Core i7 3612QM, NVIDIA GeForce GT 640M).